I found Art on 5 while with Kerry-Anne on an impromptu photo walk in Stellenbosch. My previous photo was taken though the hole in the blurry artist's palette at the back of this photo. Stellenbosch is filled with creative people that love painting, photography, pottery, and many other forms of art. 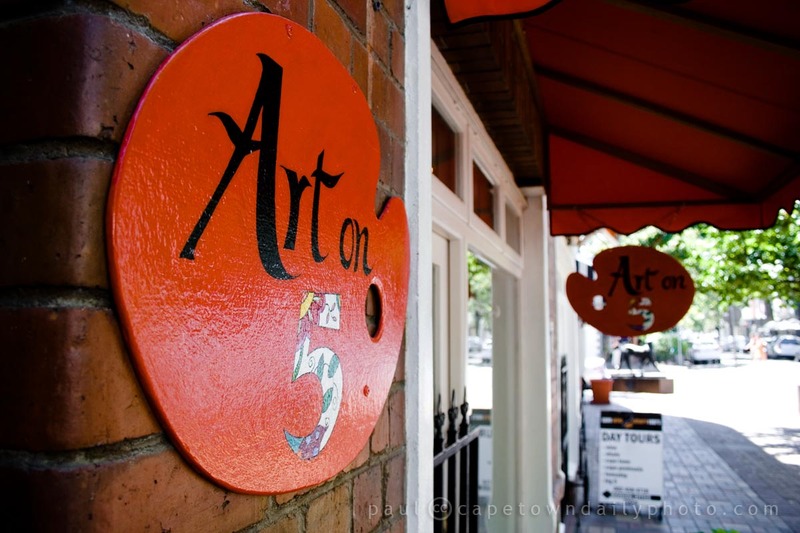 Shops like Art on 5 certainly aren't scarce, but if you'd like to browse an art shop, and would like to do so in a nice part of town, this would be the spot. Besides for the many little shops, there are also several small restaurants that, perhaps in typical French style, spill out onto the pavement creating a vibe that makes Stellenbosch just perfect for a Saturday or Sunday morning brunch. Posted in Activities and tagged art, stellenbosch on Tuesday, 16 February, 2010 by Paul.